The most magical way to enjoy a movie in the summer is out on the lawn, under the stars. 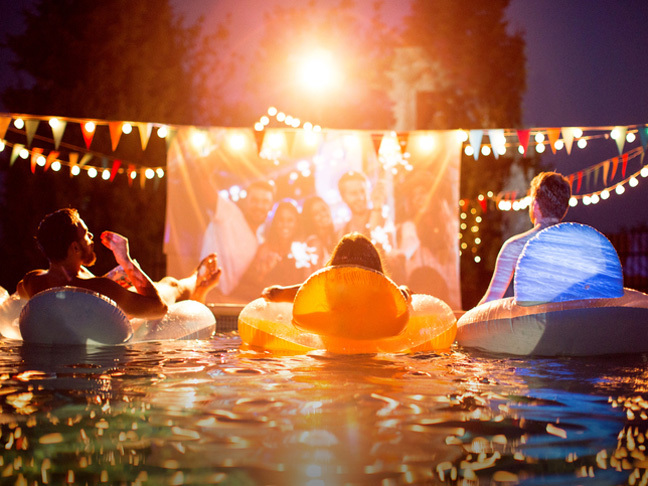 I’m dying to set up my own backyard movie theater at my house and invite over a few of the neighbors for popcorn and drinks, so I am on the hunt for the best projectors for outdoor movies to help me screen cinema classics for an easy neighborhood GTG. For great visuals outside, it’s best to get a projector that is rated above 2,000 lumens for brightness. It should also be HD at either 720p or 1080p (the number of horizontal lines of vertical resolution and progressive scan), and have HDMI connectivity. There are a lot of projectors on the market, and it’s easy to get overwhelmed. Here are some of the best projectors that have the necessary brightness for outdoor use, at varying levels of cost.